Manchester United are reportedly preparing a massive bid for Napoli left-back Faouzi Ghoulam, after already having reached a ‘half agreement’ between October and November to land the Algerian starlet. The defensive backline has been an area of concern for Jose Mourinho, despite his side holding the record for most clean sheets in England’s top flight this campaign. From centre-backs to full-backs, the Special One is keen to revamp his complete defense come the summer transfer window. With Chris Smalling deemed unsuitable to pair up with Eric Bailly in the heart of the Red Devils’ defense, and both the full-backs, Ashley Young and Antonio Valencia, now not as quick as they once used to be, the Special One has set his eyes on multiple targets as potential replacements for his aging stars. 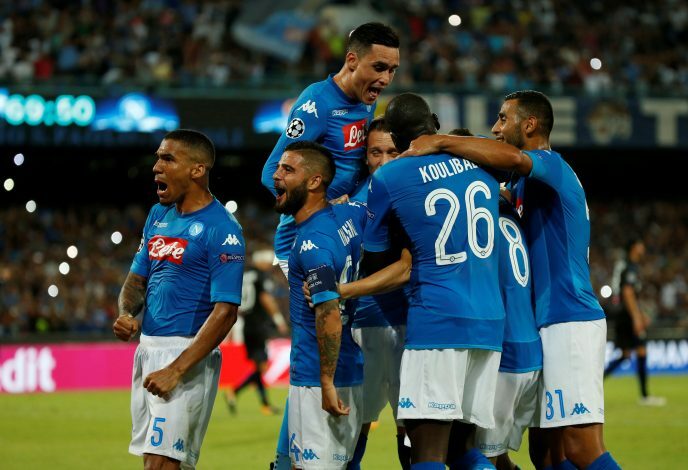 And according to RAI Sport journalist Ciro Venerato (via AreaNapoli), the Portuguese tactician has identified Napoli’s Faouzi Ghoulam to fill-in the left-back role. It was claimed by the Italian that Ghoulam, who has been on the Red Devils’ watchlist for some time now, could make a move to Old Trafford in the summer, especially after ‘there was already a half agreement with Jorge Mendes’ to bring the Algeria international to Manchester ‘between October and November’. Venerato said: “Is Ghoulam covered by Manchester United? Yes, he’s a champion, and despite the injury, he remains a man on the transfer market. United keep thinking about him. Meanwhile, in a separate report by RMC Sport, it was claimed that the Old Trafford outfit was preparing a €30 million bid plus bonuses to acquire the services of the 27-year-old left-back.